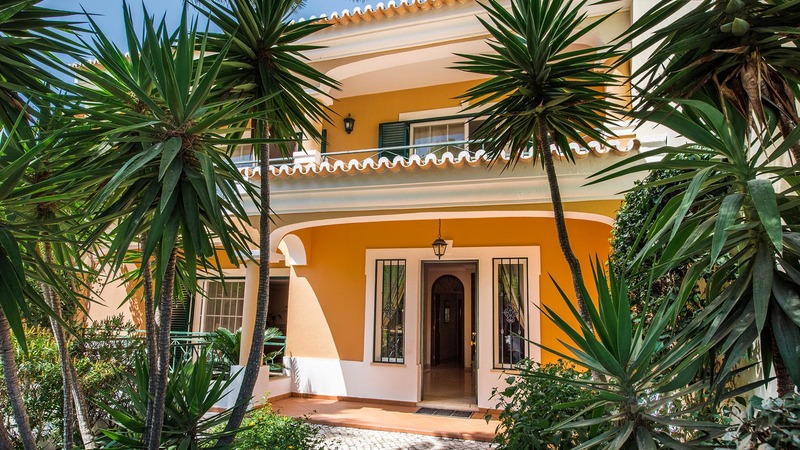 This superb villa is located at Encosta do Lobo, a small development in the deluxe resort of Vale do Lobo and offers 4 bedrooms with bathrooms. Room, 1st floor, direct access to the terrace. This bedroom has 1 double bed. Bathroom ensuite. Room, 1st floor, direct access to the terrace, connecting room. This bedroom has 1 double bed. Bathroom ensuite. On this floor, you'll find a cinema room with a large plasma TV, DVD player, surround sound system and also a bar area. Next to this cinema room, you'll find a games room with pool table, darts and other games. A laundry room with washing machine and tumble dryer is at your disposal. Large living room with fireplace, IPTV, DVD player and sound system. Dining area for 8 people. A fully equipped kitchen with Siemens units and separate breakfast area. On the ground floor there is also a guest cloakroom. Outside you will find an unexpected private and landscaped garden with a swimming pool 4,5x8 metres (extra charge applies for heating) and sun lounges. Enjoy the 2 seatig area for 10 people each. One of them is in separate al fresco area with a counter and a gas BBQ, as well as a guests’ bathroom. The garden is very well maintained, and you'll love some romantic and quiet areas where you can relax or read a book listening to the birds all around. Encosta do Lobo is an oasis of peace and quiet bordering the Ria Formosa nature reserve and the beach, which is 10 minutes walking distance away. 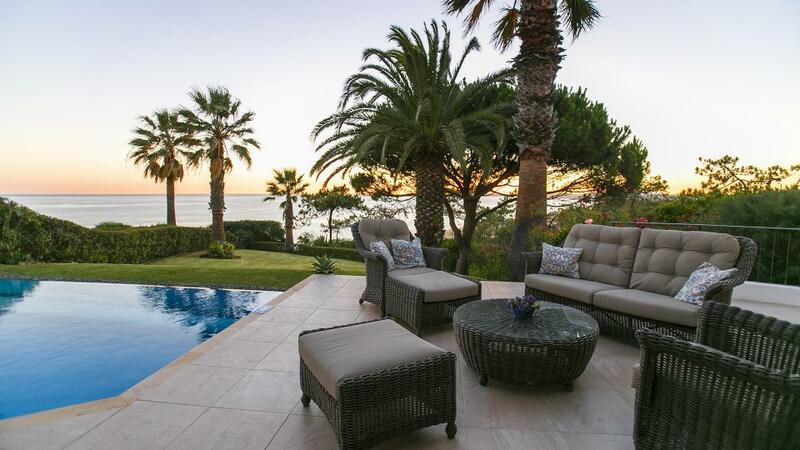 The villa is also close to Vale do Lobo’s Royal Golf Course.